Keep up-to-date with the latest industry news and product releases by reading THE EDGE! This issue features the latest in Consumer / Wearables solutions from Bosch, Maxim Integrated, TE Connectivity, NXP and Abracon. THE EDGE is the newest e-newsletter from Future Electronics, and is geared toward engineers and buyers looking for new or leading-edge products. THE EDGE comes out twice per month, and each edition features product information, datasheets and videos showcasing the most advanced new technology in a specific area, such as sensing, lighting, or automotive. 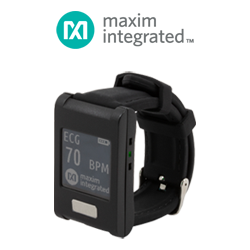 The MAXREFDES100# is a unique evaluation and development platform in a wrist-worn wearable form factor that demonstrates the functions of a wide range of Maxim’s products for health-sensing applications. The engineering of wearable devices presents challenges in miniaturization and multifunctionality, rugged design, and sensor integration. 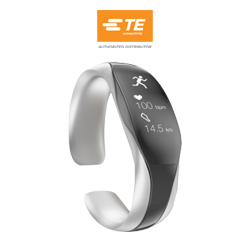 TE Connectivity components are already part of well-known wristbands, watches, and smartwear. TE’s wide range of products can fit the most performance into ever-smaller and more beautifully designed devices. 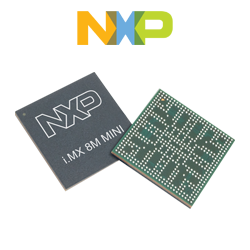 NXP’s latest i.MX 8M Mini applications processor enables Industrial, IoT and Smart Devices everywhere. Built using advanced 14LPC FinFET process technology, the i.MX 8M Mini applications processors brings new levels of performance, power efficiency, cost-effectiveness, and embedded security to your application. 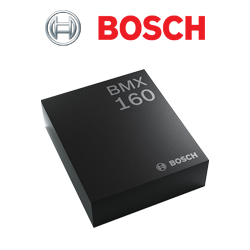 With a portfolio of devices starting with single-core all the way up to quad-core performance, the i.MX 8M Mini can scale with your applications needs. Start your design today. Abracon's Tiny But Mighty™ collection showcases ultra-compact RF, timing and power passive components needed for tomorrow's consumer and wearable IoT applications. Market trends continue to demand increased performance and functionality in highly compressed designs. 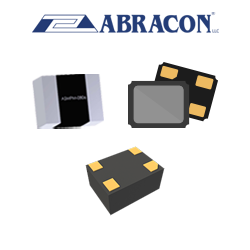 These space-saving antenna, oscillator, inductor, MEMs and crystal solutions provide the smallest footprint while achieving a high functional density.